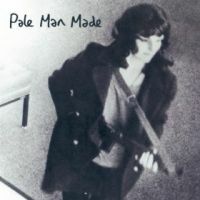 For their second album, Newcastle's Pale Man Made are offering up a whopping fourteen tracks. Now that's pretty good value for money, but it's also a lot to digest and you could argue that 'Red Box Secrets' would have been better slimming itself down to a less daunting ten or twelve tunes. There's no real need for such a culling though, as there's no real excess weight and with an average song time of around two and a half minutes the album flies by and you're barely given the chance to consider changing the record. The only downside it that 'Red Box Secrets' isn't the most diverse album you'll hear all year. The default setting is something akin to a more British, more indiepop Dinosaur Jr, shorn of the gruff masculine singing and replaced with more appealing boy/girl vocals. They're not afraid to use their guitars but they never let them run the show either. Much of this album seems influenced by alt-rock bands of that vintage from both sides of the Atlantic. For example to outstanding 'Trojan Horse' contains DNA from The Breeders, Pixies etc. but packs a mighty melodic punch for the chorus, whereas the equally great '901' is a direct descendent of the UK's indie heroes of the late 80's as well as 90's icons The Delgados. It's also not short in the tune department. Single 'In Your Bed' possesses earworm qualities that ensure it burrows deep in to your subconscious, after a few listens you'll find yourself randomly humming it. It's here that the real quality of Pale Man Made shows; the melodies of 'B-Line', 'Cut Out' and 'It Started In 1966' are sweet and infectious and the permanent buzz of guitars is the ideal accompaniment. They may not win awards for originality or diversity but on the strength of the songs alone these guys deserve plenty of acclaim and you could do a lot worse than to open up their Red Box and sample some of the Secrets that lie within.